Sometimes an idea that “sounded good at the time” doesn’t pan out. I re-worked a prior painting into a piece I was finally satisfied with. 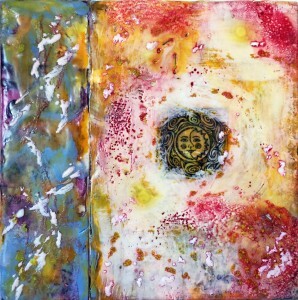 “Here Comes The Sun King” is 8″ x 10″ Encaustic Mixed Media on a cradled birch panel.